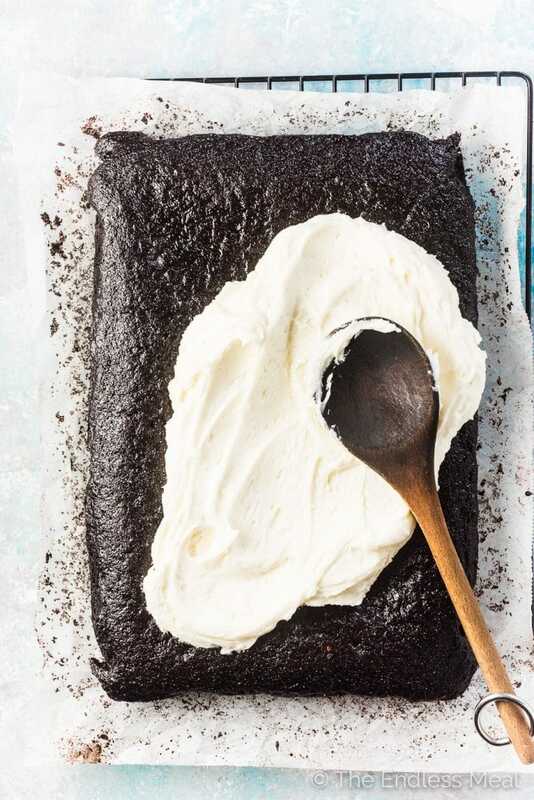 This insanely delicious and totally moist Guinness Chocolate Cake is topped with a thick layer of perfectly sweetened Irish whiskey buttercream frosting. It's made in only one bowl and is totally foolproof. The cake also happens to be vegan – but don't make it (or not make it) because of that. Make it because it's the best chocolate cake ever. Raise your hand if you want a slice of Guinness chocolate cake! It's no small claim, but I've had enough votes on it to know for sure it's a winner. 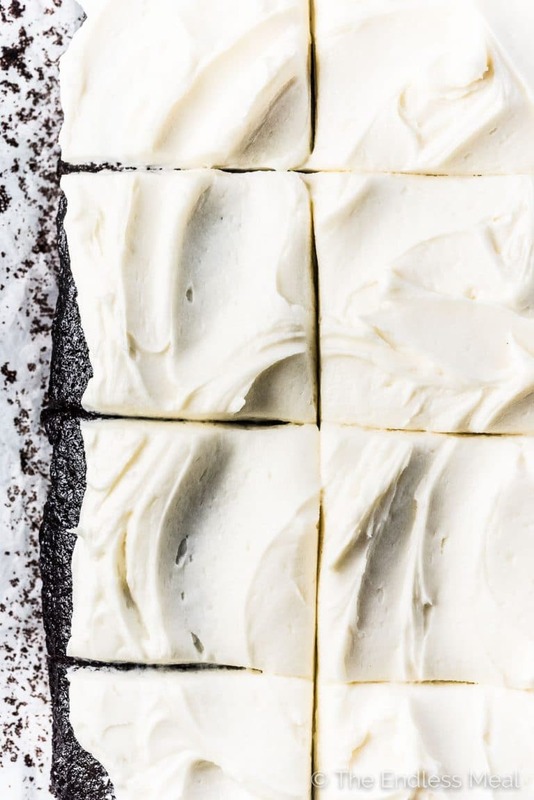 It's super rich in flavor, perfectly sweetened, ultra moist, and totally dreamy. It's also made without eggs and uses oil instead of butter so it's naturally vegan. If you are too, that's awesome! If you're not (like me) then don't let that throw you off. Just make the cake exactly as is and forget all about me telling you it's vegan. Deal? Now that thick layer of Irish Whiskey Frosting, on the other hand. That has delicious salted butter in it. BUT … I've used store-bought vegan margarine in the past when making frosting for vegan friends and it works surprisingly well. If butter is not your thing, pass me all the butter and I'll hand you all the Earth Balance. It'll work great in this recipe. Also, let's pour a mug of Guinness and cheers to St. Patrick's Day and all the excuses to dig into a giant slice of Guinness Chocolate Cake. There's an entire tall can of Guinness in that cake batter you see down there. ↓↓ It's what makes the cake crazy moist. The beer also helps bring out the flavor of the chocolate so the cake is extra rich in flavor. If you love this One Bowl Guinness Chocolate Sheet Cake as much as I do, make sure to give it a 5-star review in the comments below! 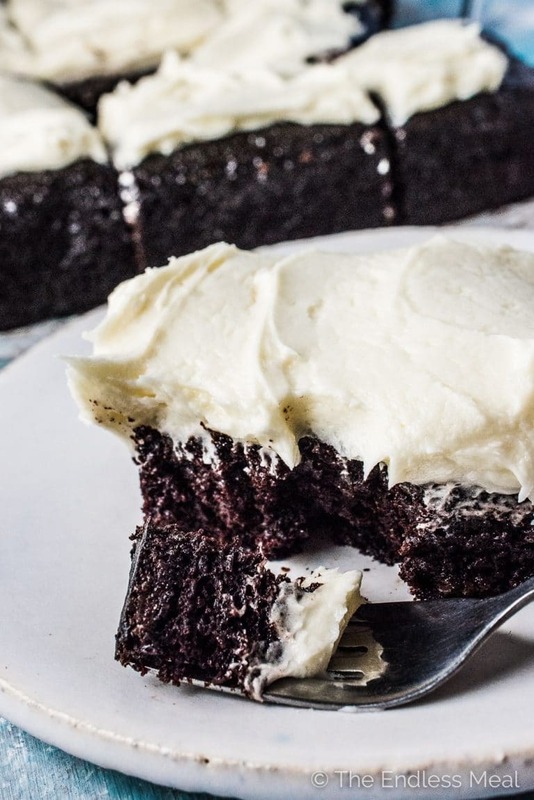 This insanely delicious and totally moist Guinness Chocolate Cake is topped with a thick layer of Irish whiskey buttercream frosting. It's made in only one bowl and is totally foolproof. The cake also happens to be vegan – but don't make it (or not make it) because of that. Make it because it's the best chocolate cake ever. Preheat your oven to 350 degrees. 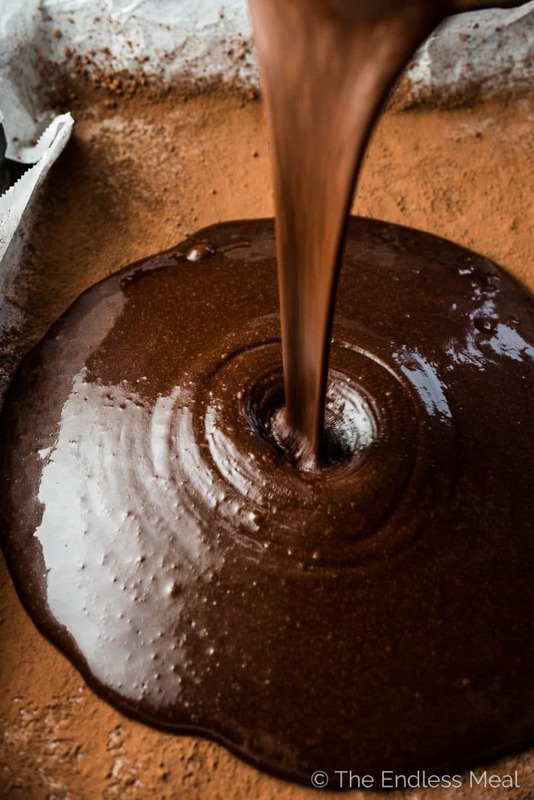 Grease a 11×9 inch baking sheet with butter or coconut oil then sprinkle some cocoa powder over the top. Shake the baking sheet so the cocoa powder covers the butter. Pour half the can of Guinness into a small pot and bring it to a boil over high heat. Set the pot aside. While the Guinness is heating, make the rest of the cake. Whisk the flour, sugar, cocoa powder, baking soda, baking powder, and salt together in a large bowl. Add the oil, vinegar, and the remaining Guinness in the can and whisk. Pour the hot Guinness into the bowl and carefully whisk it into the batter. Stir in the chocolate chips. Pour the batter into the prepared baking sheet and bake in the oven for 25-30 minutes, or until a toothpick inserted into the middle of the cake comes out clean. After 10 minutes, remove the cake from the baking sheet and let it cool completely on a cooling rack. Once it is completely cool, cover it with the frosting. Place the butter, powdered sugar, and Irish whiskey in a large bowl. Cream together using electric beaters. 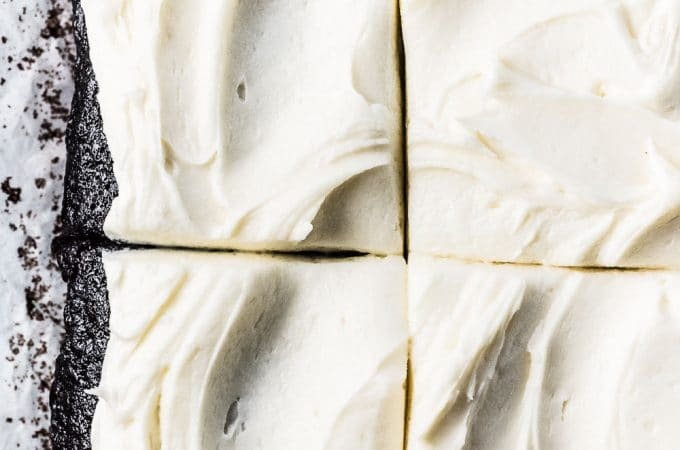 For a thinner frosting, use more whiskey. Sorry forgot the rating! Definitely 5 stars! Awww thank you for coming back to rate them!! This looks delicious! 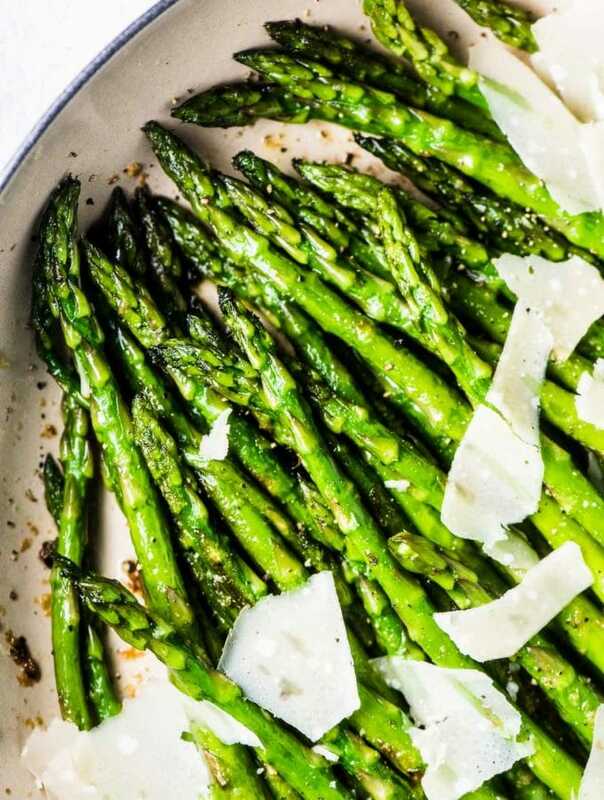 Do you think this recipe would work as cupcakes? Thank you! Made them as cupcakes with vegan butter and they turned out amazing!! The cupcakes were so moist and the icing was a perfect compliment. Thanks so much for this awesome recipe! This is the BEST chocolate cake I’ve ever had! Suoer moist and just plain delicious. And the Irish whiskey icing is to die for! Definetly saving this recipe! fyi Guinness isn’t actually a vegan stout, because it contains a form of gelatin derived from fish in the making of the beer. But not all stouts include this ingredient (it’s called isinglass) so google “vegan stout” to find ones that are truly vegan. There are many different brands that are 100% vegan. Alas, Guinness, the best known stout, isn’t one of them. 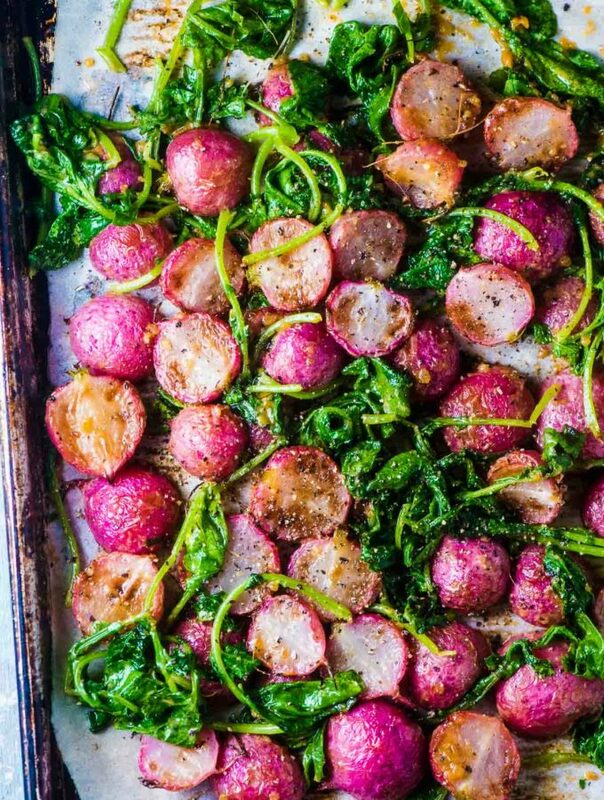 But otherwise this is a great, vegan recipe!! Do you know if the alcohol completely cooks out of this? Wondering about making it for my family, with kids eating too. 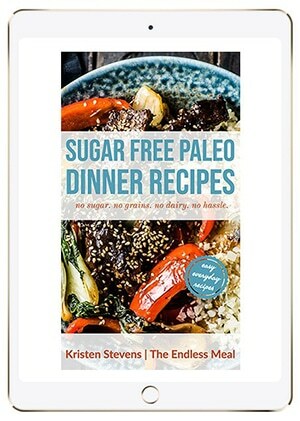 I was leery about making this recipe as you put it in the vegan category. How good can a vegan cake be? Turned out amazing. Everyone should make this cake, vegan or not! Haha I often feel the same! So happy you gave it a shot! Best chocolate cake I’ve ever made! I didn’t have whiskey for buttercream so I used Guinness and cocoa in it. My co-worker loves chocolate cake with chocolate frosting so I made it for his birthday and he loved it and was shocked it’s vegan. My vegan co-worker loved it too. I can’t wait to make it again for my best friend’s anniversary on Friday and my brother’s birthday Saturday. That makes me so happy to hear! It’s pretty awesome, isn’t it? And happy anniversary to your friend and happy birthday to your brother! I’m not sure here. I just made this cake as written but I’m not sure I handled the cocoa powder correctly. I sprinkled ‘some cocoa powder in the buttered pan but then it was never mentioned again. Was I to use all the powder or some? Was I supposed to put the rest in the batter??? Don’t know how it’ll come out yet. I have 22 minuets to go. I’m so sorry that was unclear. The cocoa powder was supposed to into the cake batter. The little extra was for the pan so the cake doesn’t stick to the pan. Often recipes will use flour for the pan, but I like cocoa powder for chocolate cake as it keeps the color of the cake nice and dark. Did any go into the batter? If I make this with a gluten-free flour blend, would I omit the baking soda or powder? If your flour blend has a leavening agent then you can make it without. Otherwise make sure to add it! Guinness is the brand of beer. You’ll want their tall can (440ml) of Guinness Draught for this recipe.